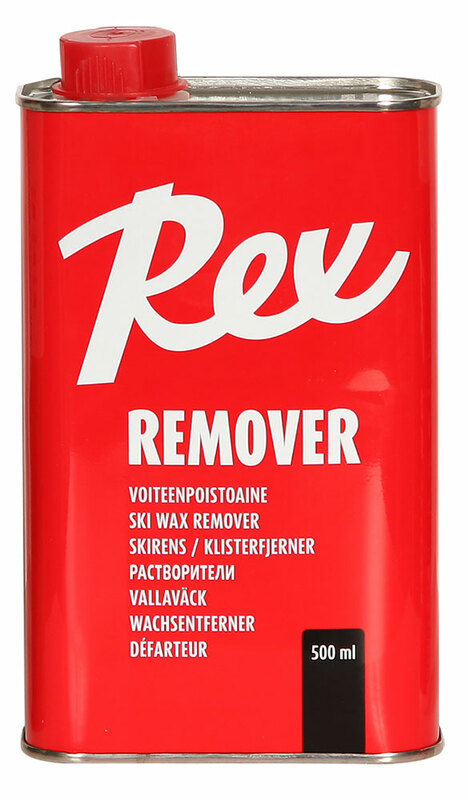 New dirt-repelling and glide-enhancing conditioner for mohair grip insert skis. Safe to use on all ski brands. Apply to a cloth and wipe the mohair clean. Leaves a protective treatment after drying. Hydrocarbon-free. For removing grip waxes and glide waxes effectively and safely. Suitable also for cleaning Nanogrip, Zero and step grip bases. For cleaning mohair grip zones, use #508 Skin Care instead. Available in various packaging sizes: 100 ml, 500 ml, 3000 ml. 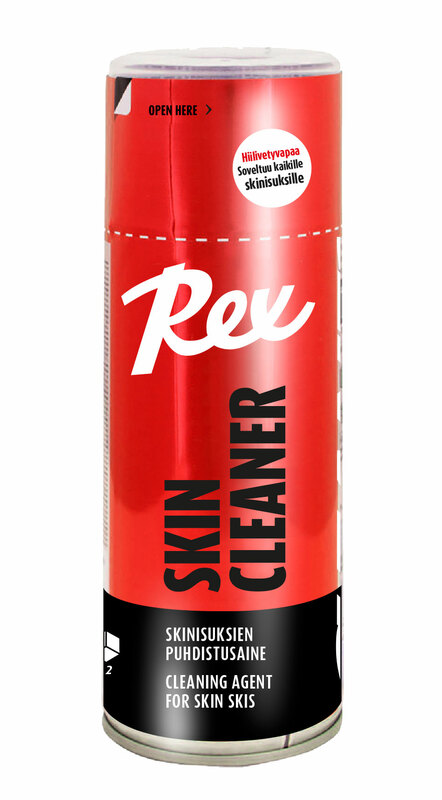 Rex Remover in a handy 150 ml aerosol packaging. New fluoro Anti-Ice for Nanogrip and other no-wax bases. Prevents icing and improves glide. Does not contain wax, so it is safe to use on Nanogrip bases. A Rex specialty for new or ground skis. One treatment with Base Oil equals 2-3 treatments with Base Paraffin. Prevents the base from turning to gray. The new 2.0 version contains new raw materials from our R&D department. 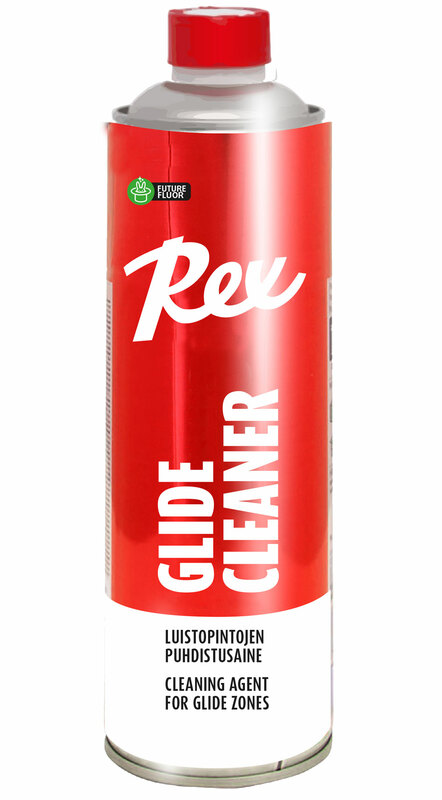 Creates a hydrophobic emulsion with gliders and helps the ski base to repel more water and dirt. 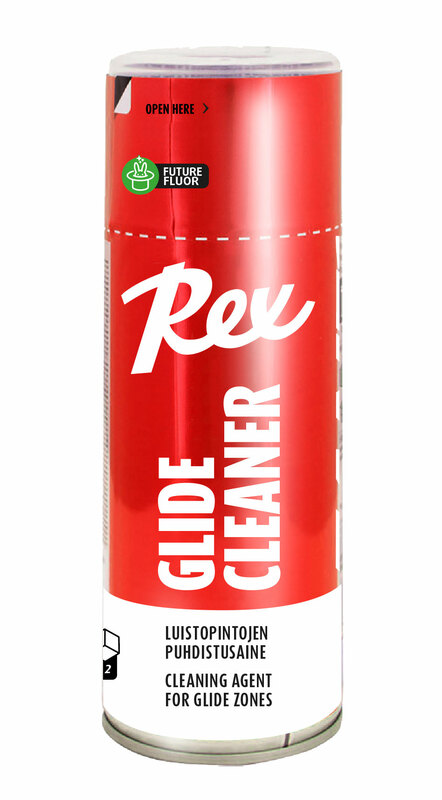 Fluorinated cleaning agent for glide surfaces prior applying new glide wax. Hydrocarbon free. Does not dry the base, leaves a good surface for applying new wax.